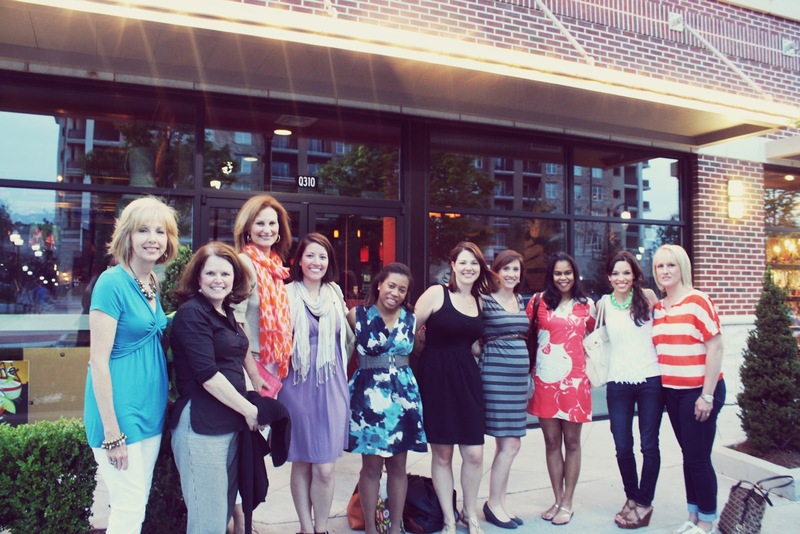 Last weekend, I was so lucky to meet up for dinner with a few amazing Atlanta bloggers. We had the best time chit chatting about blogging, design and life in general. And hello, all of these girls are the cutest! See what I mean? Whitney and Lori May also joined us for dinner, but had to run before we got a chance to snap a picture. It was so amazing connecting with these ladies... I feel so lucky to share the blog world with them! I had so much fun with you ladies! Can't wait to meet again! Thanks for organizing Michelle! It was so much fun, and I loved meeting everyone. how fun! and how cute are you!! Had a great time with you all! Let's do it again! Thanks Michelle for getting it together! So so fun! I am super d duper envious. Hope you had a great weekend. How fun! I need to start something up in SoCal just like this...totally inspired! So glad I found your blog...so much yummy inspiration on here...I'll DEF be back! Thank you Michelle for putting this together. I had a wonderful time meeting so many new local bloggers. Looks like you had fun! Next time you all get together, let me know - I would love to join you. How fun! I've truly enjoyed the friendships I've made through blogging, and I think it's so fun that you can share so much in common with people and also have friendships in real life as well. Hope you are feeling well Michelle! My baby is going to be 2 in August and I simply can't believe it.